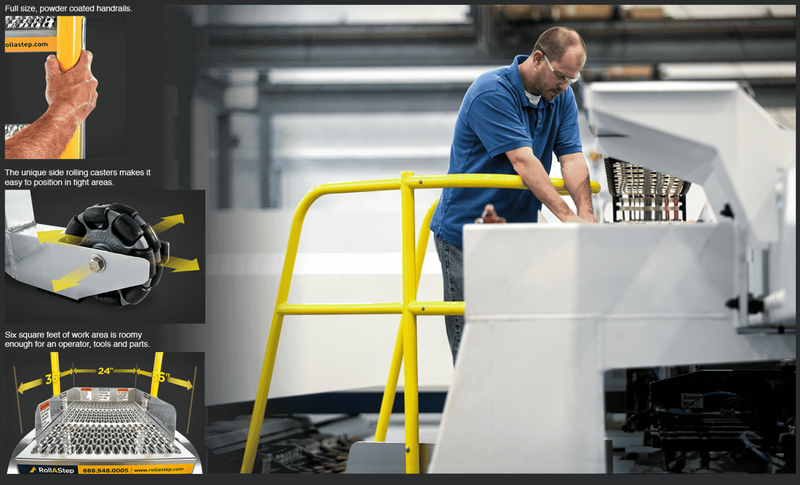 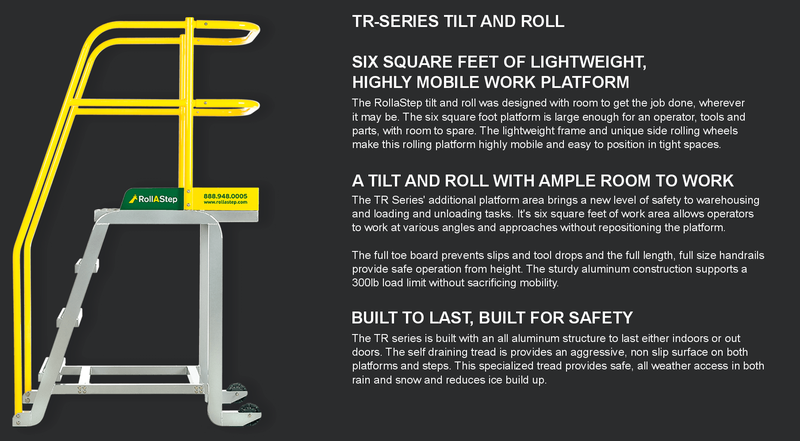 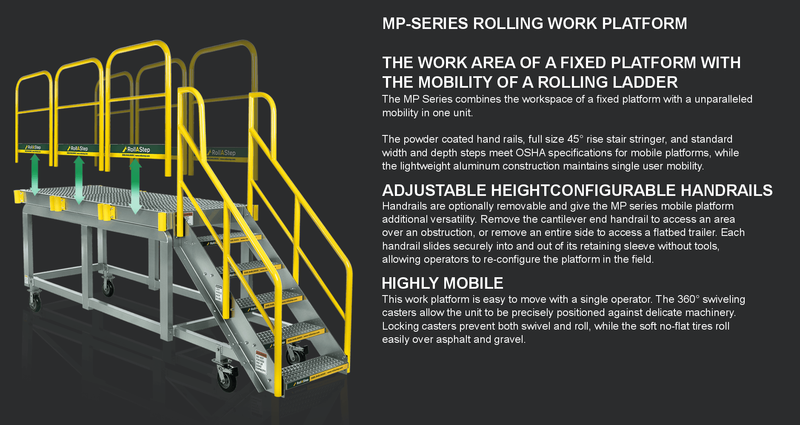 The RollaStep line of mobile work platforms are built with a primary goal of providing room to work. 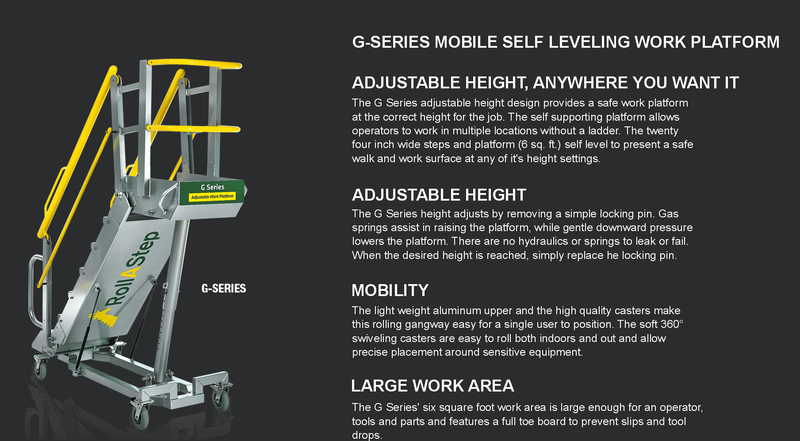 Durable aluminum construction provides corrosion free longevity. 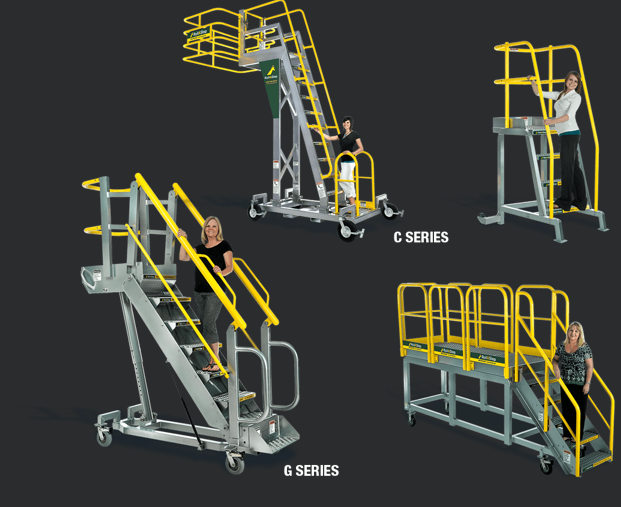 Standard features such as full size handrails, aggressive, non-slip tread and stable designs provide maximum safety. 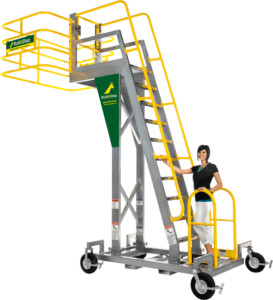 Plus protect from strains and sprains without compromising productivity.